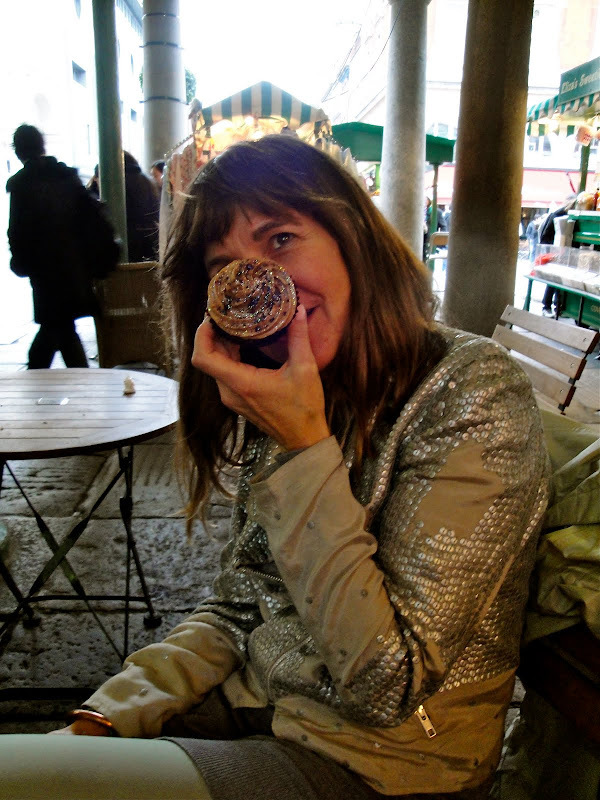 actually Hedvig was a total trooper and didn't even mind being photographed while biting into her massive cupcake... such are the kinds of moments that modeling prepares you for! 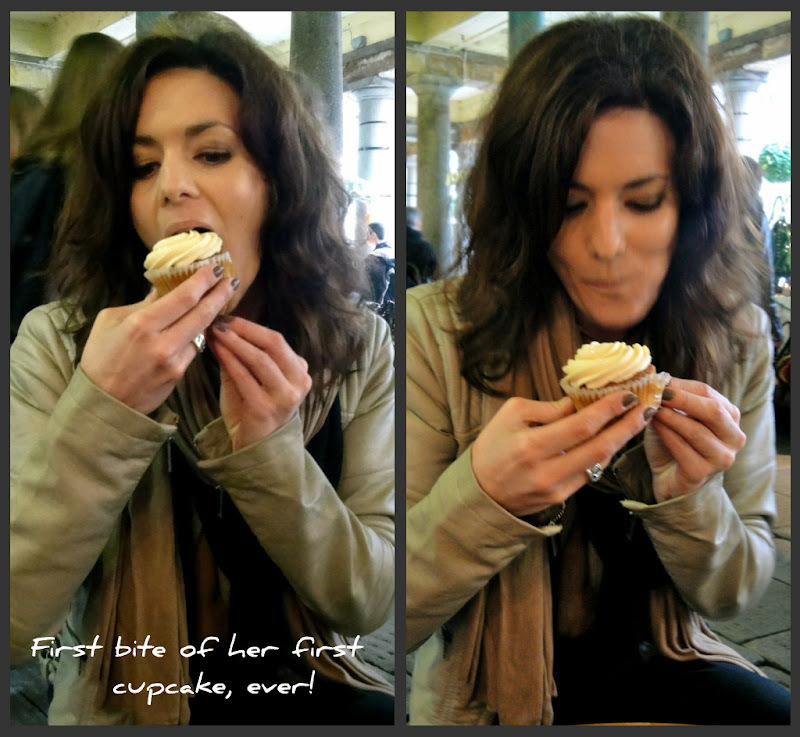 while some of us were more acquainted with the cupcake world we weren't as poised when it came to the photos! i for one just gobbled mine up as quick as possible, and as you can see Jill insisted on hiding behind hers... they are so gorgeously delicious though, can you blame her? so while the cupcake party was a great success we did have a few inevitable issues - Jill and i were running late, because we were ridiculously infatuated with a shoe-candy-shop and had difficulty pulling ourselves away from the place. Hedvig arrived at Ella's only to discover that it was closed. being short staffed, i.e. 1 employee and errands to run, doesn't bid well for hungry customers. it worked out in the end though. we all found each other and Ella's reopened... we even had another very special birthday girl join us... but i'll post more on that later. for now, just remember if you can get to london save this date for the next cupcake party: 2nd April. you wont regret it.